With a new book now on the market about Timothy Dalton’s first James Bond movie, it seems a good moment for the JBIFC to look back at the screen treatment for the film that was never made: a third Dalton 007 adventure. Charles Helfenstein, the author of the superb book The Making of On Her Majesty’s Secret Service (2009), recently published a second book entitled The Making of The Living Daylights, which went on sale in October. As with his first book, it is another very high quality exploration of how a James Bond movie is planned, made and marketed, with some fascinating insights, rare anecdotes, excellent glimpses of storyboards, and containing all the detail that made his first volume worth its weight in gold. At one point in his new book, Helfenstein touches upon the film that came close to being made but never was: a third Timothy Dalton 007 adventure. The JBIFC has trawled its archives once again to bring you some details about the ‘Bond 17’ outline that was actually put together during the planning stages for the proposed movie. Yes, it nearly did happen. As we know, Timothy Dalton made two Bond movies and was all set for a third, but then complex legal wrangles halted pre-production on Bond 17. 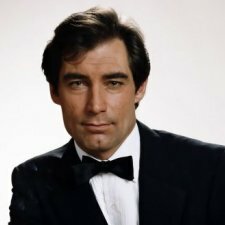 After waiting patiently for five years for MGM/UA to sort out the various legal battles, in the spring of 1994 Dalton announced he was leaving the role of 007. “Bond removes his parachute harness and turns to find the decidedly unpleasant barrel of a pistol thrust against his temple. Mi Wai tells him to keep his hands in sight as she speaks rapidly into a small hand held radio. In a few moments Bond hears the distinctive beat of a helicopter… Mi Wai prods Bond forward… he sees the insignia of the Chinese Red Army on the side of the helicopter”. The above extract, at first glance, looks like something out of Colonel Sun but comes from the screen treatment that nearly became the basis for the third Tim Dalton Bond movie in 1990/91 – had it gone ahead. In fact, not many fans realize how advanced the plans were for Bond 17 in 1989-90. Moreover, all the evidence suggests that Dalton’s third Bond movie would have placed Fleming’s ‘blunt instrument’ (as grittily played by Dalton) in a much more ambitious and visionary story which had an element of sci-fi at its heart. An outline treatment by Michael G. Wilson and Alfonse Ruggiero was completed in May, 1990, and, although it was not a full script, it contained a detailed outline story, with descriptions of locations, key characters and major plot concepts. As envisaged in 1990, Dalton’s third would-be Bond movie would have entailed the Bond series continuing to move in the notably realistic direction set out in Licence to Kill, but also brimming with ambitious hi-tech concepts. Wilson and Ruggiero penned an outline which used robotic designs, microchips and advanced electronic apparatus to provide the film with a markedly scientific backdrop. At the beginning of the treatment there was an intriguing preface saying that the ‘robotic devices’ referred to in the outline were ‘complex and exotic machines designed for specific tasks’ and they would be designed ‘especially for the film for maximum and dramatic and visual impact’. The opening sequence was set in a chemical weapons laboratory in Scotland, and involved technicians performing tests with robotic devices. Suddenly, one of the robotic machines would run amok and the building would explode. After a ‘bitter debate’ in the House of Commons, the Prime Minister would be seen being questioned by MPs about the explosion, and he would assure the House that the ‘full resources’ of the government were being used to investigate the incident. Enter 007, who, in the treatment, is summoned to MI6’s HQ and to M’s office for the traditional briefing about his mission. 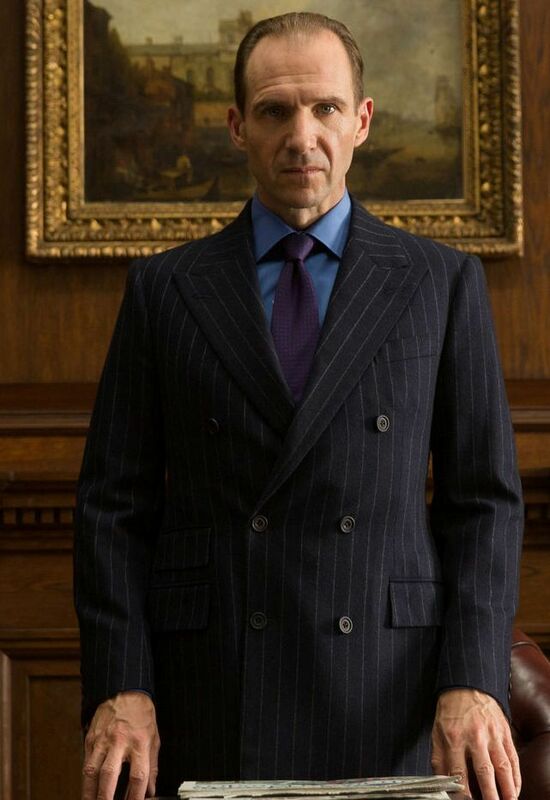 There followed a storyline which took Bond to Hong Kong, Japan and mainland China, with the main villain being Sir Henry Lee Ching, described in the treatment as ‘a brilliant and handsome thirty year old British-Chinese entrepreneur’ who, in the traditional Bond sense, is a dab hand at science and electronic circuits, and is also nicely demented. Sir Henry has a habit of arranging ‘accidents’ at nuclear plants, and demonstrates this by having a robotic device run amok at a Chinese atomic plant in Nanking. The main point to Wilson and Ruggiero’s treatment for Bond 17 was that Sir Henry wanted Britain to withdraw from Hong Kong (remember, this was 1990, some years before the UK actually did hand over the colony). With his expertise in electronics, Sir Henry threatened to unleash a computer virus that would paralyse every military and commercial unit in the world. The climax of the treatment involved James Bond being led to Sir Henry’s base of operations through the sewer system under Hong Kong, with 007 gaining access to the building via a waste-pipe. There followed a classic confrontation between Bond and Sir Henry, with the latter eventually killed when 007 turns a welding torch in his face! Whether this treatment for Dalton’s third Bond movie sowed some of the seeds for later ideas for the Pierce Brosnan films is difficult to say, but the 1990/91 Bond 17 treatment gives us an intriguing glimpse of the film that might have been. Daniel Craig ended “Bond movies” in my opinion. Sorry, but unless you have a hidden weapon given to Bond from Q that gets Bond out of a situation, it’s not Bond. Its not Craig’s fault, of course, but there just isn’t any flare in the 007 movies anymore. I’ve seen every Bond movie at least three times, if not six or seven with the Moore, Dalton, Connery, Brosnan. I’ve watched Craig’s only twice at the most. Bond is dead, and has been since Craig took over. I Have Been A James Bond Fan For Over 30 Years. I Grew Up With The End Of Roger Moore’s Era and Timothy Dalton’s Tenure To Follow, But I Think He Could Have Rounded Out His Tenure With A Third Outing. It’s Interesting To Read The Above Synopsis With The Plot Detail, But I Wonder Who Would Have Been The Perfect Casting For The Villain’s Role? 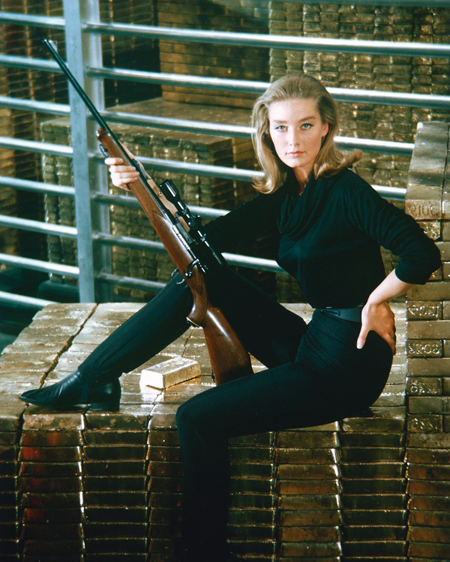 Of Course, The Two Ladies Who Would Have Been The Bond Girls We’ll Never Know Now. Another Rumour I Heard Is That Dalton’s Third Film Would Have Been Called For Queen and Country. It’s Just a Pity That All The Legal Wrangles Happened and Kept James Bond Out Of The Cinema For 6 Years, Until The Savour Of The Franchise, Mr Pierce Brosnan, Arrived On The Scene In Late 1995 With Goldeneye. We should all be glad that this film wasn’t made! They had some really, really, crazy ideas with robots and stuff, sort of like Terminator meets Bond. The legal battles were not Tim’s fault. Yes, it would have been great to see Mr. Dalton again as 007. Would come into his own as Bond. But, we will never know now. I love the James Bond character, so I loved all the actors. However, I was surprised by the comments above on how they all thought Timothy Dalton was the best Bond. Growing up With Sean Connery, he will always be the best for me. I was thrilled when Roger Moore took over, but most of his movies were almost tongue in cheek. I prefer the more serious Bonds. I regret Lazenby did not make more Bonds. I liked Brosnan from TV and was interested to see how he would do as Bond. I loved him and would say, after Connery, he became my favorite. As for Craig, he intrigued me. There was something different. Then I realized there was no romantic feature. The music changed and Craig was more like a hired killer, which really is what Bond is. As for Dalton, he is my least favorite. Maybe it was because of an old interview in which Dalton believed each movie was separate – he did not believe in the continuity of Bond. He did not seem to get what a hero was and, when asked if he had any childhood heroes, he came off perplexed. It seemed like he did not get all the hoopla of Bond and, to him, it was just another movie with $$$ signs. I do agree that “Skyfall”, if not one of the best in the series, was Craig’s best. I always though that Pierce Brosnan lacked the intensity and ruthlessness that Timothy Dalton so successfully portrayed in his two outings as 007. ‘Goldeneye’ always played to me like a Saturday afternoon episode of Mission Impossible that carried on way too long and had little substance to it. Much the same feeling came into the further installments of Brosnan as Bond, ‘Die Another Day’ topping the mark in the ludicrous department. YES IT WAS A TERRIBLE SHAME THAT TIMOTHY GOT THE RUG PULLED OUT FROM UNDER HIM AS HE WAS PREPARING FOR HIS 3RD BOND FILM. NEVER DID HEAR WHO WON THAT LEGAL BATTLE BETWEEN MGM/UA AND EON PRODUCTIONS LTD. MAYBE THAT JOHN CALLEY AT UA WAS A NON SMOKER WHO DIDN’T WANT A SMOKING ACTOR PLAYING BOND ANYMORE?! JUST A THOUGHT. REMEMBER WHAT P BROSNAN DID AND SAID EARLY ON IN TOMORROW NEVER DIES?!!! This treatment for Dalton’s Third unmade 007 Bond film ought to have been made into a fan-made comic book by some skilled and talented comic artist by now. That’s the only clever way to see this thing have some visual rebirth – in the comic book/graphic novel format, I reckon. 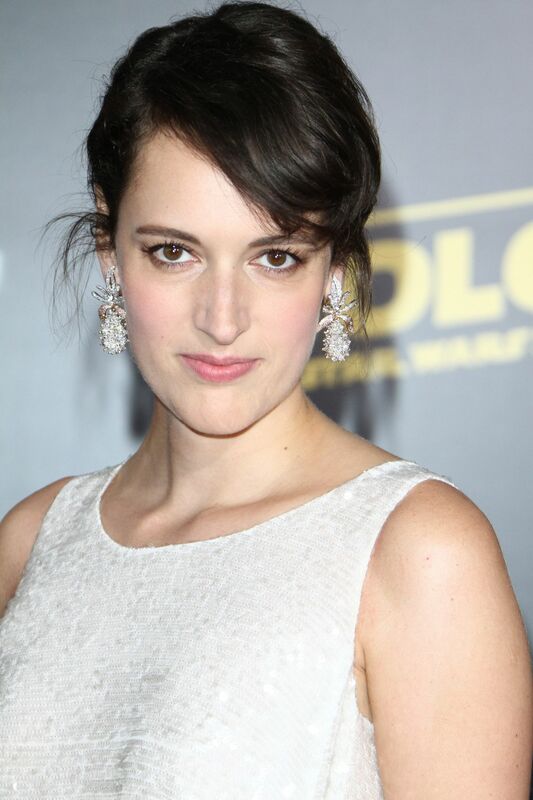 Just get the rights to the Dalton era Bond series actor’s likenesses and you would be all set. Yeah, we should’ve seen a third Dalton Bond movie. He was a class act in the role, and his 007 was clearly something Daniel Craig’s Bond owes alot to – in terms of getting the book version of the character correct onscreen. Was there ever a Bond film that was to be made with louis jordan in the 1960s? For me, Tim was an excellent Bond – the best I’d say, and a much needed change from Moore and Connery. 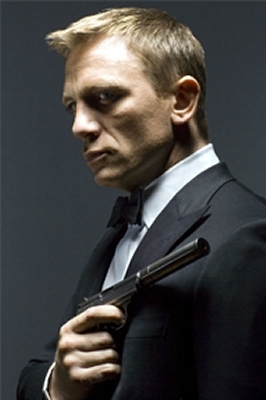 He was, with the exception of Craig, the only Bond who would blow your head off. Skyfall, for me, is the best film to date, with Dalton’s Bond second and third. It’s such a pity he didn’t go on to do any more. I loved Timothy Dalton in the part, but he was fired at the request of John Calley, who was in charge of United Artists in the early nineties. The Broccolis wanted to keep him, but Calley didn’t want to make another film with Dalton, who hadn’t proven his credentials as Bond at the box office, and the previous film was six years before. Calley wanted a new face to get new people in theaters. The Broccolis were on very good terms with Dalton, so they allowed him to announce instead that he was leaving by his own choice, to save face. Dalton was a pallbearer at Cubby’s funeral – that’s how much they were close. Brosnan, on the other hand, wasn’t even called back after his fourth film was completed and learnt that they would go with another actor like almost everybody else. From what I read there was pressure from up top, but the role was still Dalton’s – if he agreed to five more. The Broccolis fought with John Calley but actually won, if the films could accelerate production. Dalton said he’d do one more, but five was out of the question, so eventually they turned to “known quantity” Brosnan. There are elements of “Moonraker” (the good novel, not the worst Bond film) in this outline. I’ve always said to fans. For the general viewing public & fans, they were not ready to make the big adjustment from the Moore to the more serious Dalton style. I alway felt Dalton was very good in his performance. Everyone would had really warmed up to Timothy in his third. Bond actors do very well in their first films, because they really want to try hard, and to not fail themselves and the fans & movie growers. The actors are much more relaxed and enjoy themselves come their third film. Dalton would have been great for everyone in his third. Just too bad it took so long for the producers to come around for Timothy. I do remember hearing of the robot concept many years ago. Could have been quit different for the series for back then, even though it was done a bit in DAD. Well it would have been done. It wasn’t Goldeneye. Robert Brown would had Reprise his M role for the 5th time although he was out mentioned he was retired. It was not Timothy Dalton fault. Rumours say that Pierce Brosnan was to replace at that time in 1991. But that false. Timothy was go on with it till he fed up in 1994. It could been done & he could done couple more to Bond 20 & that would ended in 1995. Pierce Brosnan would not had been although he was the cause of the role latter after his departure cause problem his fans. Daniel Craig mannered to his Third Bond with Skyfall which has been done & let hope it doesn’t again under Daniel Craig era.